Here we are again! While I did manage to get a few days of "winter" sun, the rain came during the weekend and put a damper on my plans. There he is... Murphy the eternal Optimist. The best info from this week? We've proved that amps into the batteries on a "good" day in the winter exceeds the old system by 25%!! That means I am getting much more efficiency from the same size panels in a given day's sunlight. I knew they would be better than the older panels, but this was an unexpected treat. Especially in winter sunlight. In other news, the bonding adhesive works exceptionally well with the semi-flexible panels. No problem getting it to stick to fiberglass, EPDM (Rubber) or aluminum. So pretty much ANY RV is a candidate for this system! Since the panels are adhered to the roof with a specially designed 3M paralastic adhesive, there will be no holes in the roof! I have been toying with the idea of replicating this solar charging system for other folks. Many of you have written in and asked if that was a possibility. While I am still thinking about going "full speed ahead" on this, I would be willing to take on a few test cases. Since we are entering winter in the North-East, and you'd have to come to us, I have found a very large heated work space with a giant roll-up door that will do nicely for installs. It's off of the New York State Thruway (87) South of Kingston, NY. There has been some confusion about these new panels. they are NOT the old UniSolar type that would roll out on the roof. They are, essentially, the "guts" of a traditional glass panel made into a multi-level laminated panel without the glass and frame. I'll begin scheduling the installs for Dec 1st and beyond. Since panels are locally sourced, no issues with inventory. Each install should take a day and a half (around 8-10 hours + 4 hours next day) some may take longer, as each RV is different. The install is a flat cost, so no "surprises!" I like the adhesive to cure at above 55 degrees for 2 days, so you'll be able to drop off and pickup over a weekend or a couple of weekdays. The facility is VERY secure. Heck there aren't even any windows! 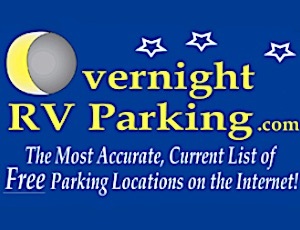 As a bonus, the parking lot/driveways are big enough to turn around any RV! For a typical installation (most will be typical unless your RV is very long with batteries at the very end and the wiring gets significantly longer!) The total cost for 500 watts, installed will be $3500.00 all inclusive. That is: solar panels with blocking diodes and junction boxes, charge controller with remote monitoring, fuse panel, all properly sized wiring (panels to controller & controller to battery), adhesive, hardware and all labor. You can add a few options during the install. I have a separate battery monitor I like to use. It's a Clipper BM-2 (see this link for details.) The solar panels will be guaranteed for 3 years and the install for the same. The charge controller has a factory warranty for 5 years. I have been testing my own system for about 3 years now. After some "tweaks" along the way, this newly improved version replaces the China sourced, aluminum backed panels (the ones that failed!) with U.S. manufactured, synthetic backed semi-flexible panels that are more efficient than the original set. Testing has proven the system works... without a hitch. The new panels provide a bit more power and that's a good thing. After a lot of research and testing, I've been really happy with this and I'd like to share it with other folks. If this limited roll-out fares well, I will be setting up a dedicated web-site and call in number for questions. I am a firm believer in the use of alternate power sources, solar being one of them. Just imagine NOT using your generator most (if not all) the time. Peace and quiet. Boondocking without gas/diesel use! Yay! The system can be used without any intervention from the user. It simply does it's job. And that's a good thing too. Do you think these can be incorporated with an existing 95 watt solar panel on our new Class C RV? The quick answer is YES. The more complex answer is...depends. In order to incorporate the existing 95 Watt panel into our self contained system, your panel should be no more than 5% higher or lower in voltage. You COULD wire the panels differently, but that's a whole 'nother kettle of fish.